Biochemistry, we explore how you use food to self-medicate anxiety and depression. Working in all three areas is necessary for a full healing. When you were a baby you suckled and eat for comfort. As an adult, if healthy, reliable sources of comfort are not available to you, you continue to seek comfort in food. Food causes chemical changes in your body. Some foods affect your mood, helping you feel calm or sedated. Other foods are stimulating, and give you a false sense of energy. 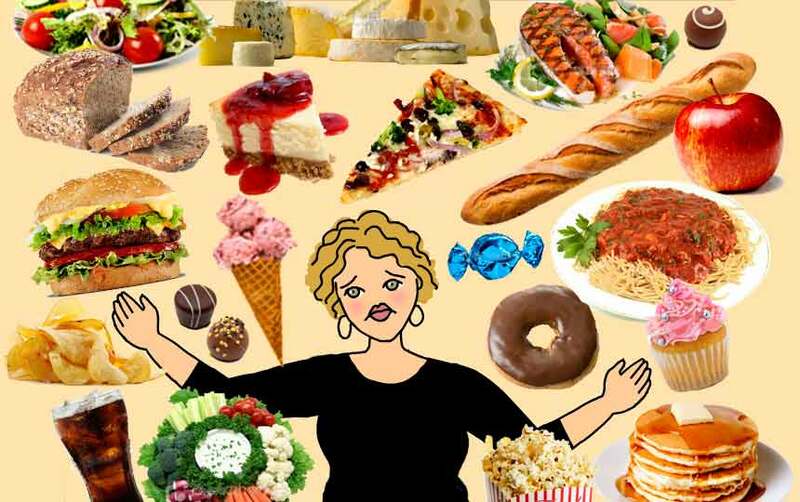 In therapy, we work to understand why you turn to food to self-medicate. We explore family-of-origin issues and learn how you cope with stress. Together we assess if you are struggling with depression or anxiety. After years of disordered eating and/or dieting, you may have difficulty reading your body's signals of hunger and satiety. You may be addicted to certain foods which make it difficult to separate true hunger from addictive cravings. 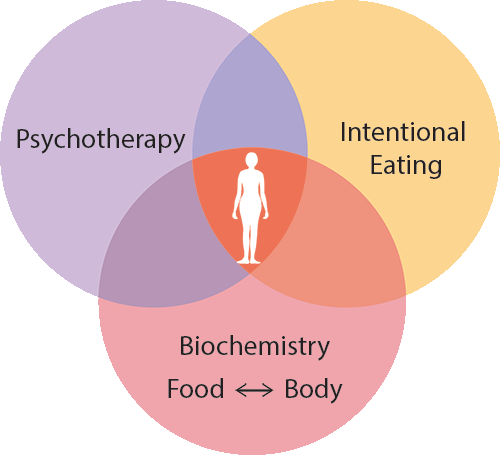 We will work together to help you move forward into self-awareness, balance and freedom from disordered eating. We know some foods may be addictive, especially sugar. Like cocaine and heroin, your body builds up a tolerance to these foods, and you crave them more and more. If sugar addiction is part of your disordered eating we will focus on harm reduction and moving toward a healthy relationship with all foods.